Sebastian Aguilar owns and operates Chickadee Farm in Talent, Oregon with his wife Kelly Gelino where they grow organic specialty crop seed for leading national retailers. He is also board president for the Organic Seed Alliance and works part time for Oregon State University Extension and the Organic Farm School. Sefra Alexandra, The Seed Huntress, is an ethnobotanical explorer on a perennial expedition to safeguard the biodiversity of our farms & forests. She has worked in Haiti, Puerto Rico & the British Virgin Islands after natural disasters to establish local seeds banks that preserve landrace varieties. As a Genebank Impacts Fellow for The Global Crop Diversity Trust, she has spent the past three months in the South Pacific, studying taro and the vital role the seedbank CePaCT (Centre for Pacific Crops and Trees) played in overcoming the Taro Leaf Blight. Master Gardener and manager at the Grow Flagstaff! Seed Library, Jackee holds degrees in Wildlife and Wildland Ecology. Her current ventures are building a discovery center in Flagstaff, Arizona, writing children’s books, and growing food in Flagstaff and Cornville, AZ. Dr. Steve Alston, a self-proclaimed mad scientist, works by day as a Product Specialist at W.L. Gore and Associates in Flagstaff, AZ. After hours he puts his skills to use in the garden and kitchen, cultivating unusual plants and baking Old World breads with wild yeasts and ancient grains. Emily Arasim is a young farmer and seed steward from Tesuque, New Mexico, dedicated to learning from and working with elders, community mentors, and fellow young people for the protection of New Mexico’s traditional seeds. She has served as a farm apprentice with the New Mexico Acequia Association, is a youth representative for Communities for Clean Water and a Spiritual Ecology Fellow, and previously worked for five years with the Women's Earth and Climate Action Network. Tiana Baca is young farmer and educator from Albuquerque, New Mexico. Tiana has worked on several agricultural projects across New Mexico, exploring the potential for growing food in arid landscapes. She is the director of the Desert Oasis Teaching Garden and the founder of the Tierra Luna Seed Collaborative. Brett Bakker grows and collects seed for Cuatro Puertas/Arid Crop Seed Cache. A founding board member of Flowering Tree Permaculture Institute, he has worked at Native Seeds/SEARCH, Talavaya Seeds, and San Juan Pueblo Seed Project at Okay Owingeh. Brett has also consulted with High Desert Research Farm at Ghost Ranch. Emigdio is Quechua, from Bolivia, a descendent of the Inca people. He is an expert in high altitude crops including quinoa, kaniwa, amaranth, and potatoes. He is the agricultural director of the Pueblo of Tesuque and board president of Four Bridges Traveling Permaculture Institute. Reyna Banteah is from the Pueblo of Zuni, New Mexico. She started a farm business in 2018, called Ts’uyya Farm, which means hummingbird. 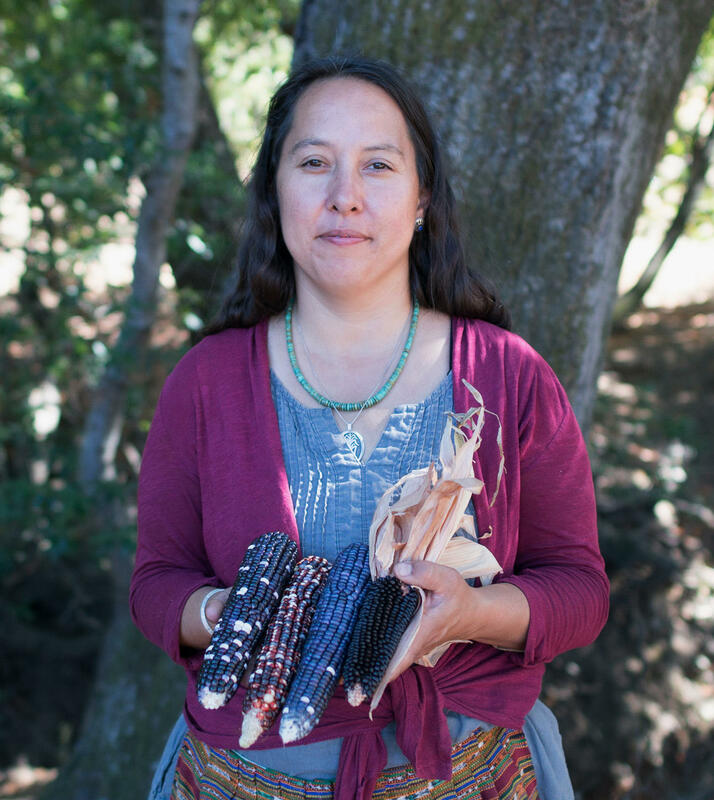 She is focusing on using sustainable farming methods and saving native seeds. Her goal is to create thriving, self-sustaining agricultural communities in Albuquerque and among Native communities. Kris Barney is a Diné (Navajo) farmer, rancher and writer from Rough Rock, Arizona in the Navajo Nation. He has worked and traveled to raise awareness to human rights and land rights issues of his Diné People and other Native Peoples. His work involves growing food, caring for his livestock, and caring for the land herself. He is the director of a small independent seed company and farm, Tsé Chí'zhí Farm and Seeds. Gregg Batt is a husband, father of five, a beekeeping and chicken-raising gardener, and public school visual arts educator and artist. He is also co-founder of Ogden Seed Exchange in Ogden, Utah. Natalie Benally is a Dine, Zuni, Ute and Mexican woman who holds a Bachelor’s degree in Theater-Performing and Directing from Fort Lewis College. She has been performing dance and theater for the last 10 years. She studied at the Dancing Earth Summer Institute and joined the company for touring of US and Norway. Natalie also works as the Indigenous Programs Coordinator for the non-profit organization, Girls Incorporated of Santa Fe, which provides holistic programming for girls ages 5 to 18 years old to empower them to be strong, smart and bold. Jill Bishop believes seed security is key to food security. She works to build stronger local seed saving networks, teach seed saving skills, and inspire the confidence in others to get growing and saving heirloom seeds. She happily grows locally adapted seed on her urban seed farm in Ontario, Canada. Clayton is a Mohawk/Anishnabeg and lifelong gardener and farmer. Clayton has worked with Akwesasne, at the time the largest native newspaper with international distribution. He is currently farming at Pueblo of Tesuque, New Mexico. He is also program director of the Traditional Native American Farmers Association (TNAFA), a nonprofit inter-tribal association of Native farmers, gardeners, educators, and health professionals. Clayton develops educational programs to engage Native youth, women, current farmers, and those who wish to learn. Ron Boyd and his wife Deborah run Mer-Girl Gardens in La Villita, New Mexico—a small farm of six acres producing “beyond certified organic” fruit and seed crops. He focuses on small farm tool innovation and minimal fossil fuel dependency. Ron has a particular interest in growing crops traditional to this bioregion and educating others in skills for on-farm application, preservation, and preparation. Born and raised in Idaho, John graduated from Idaho State University in 1972. He holds a Permaculture Design certification and is a graduate of the first Seed School in 2010. John is a self-employed silversmith and part time river guide, an avid gardener and seed saver, amature beekeeper, founder/manager of Wood River Seed Library, and a board member and co-founder of Rocky Mountain Seed Alliance. Dancing Earth supports Indigenous dance and related arts, to encourage and revitalize awareness of bio-cultural diversity through artistic expression for the education and wellness of all peoples. Centered in Indigenous ecological knowledge, their current production, SEEDS : RE GENERATION, evolves from Dancing Earth’s intertribal artists in exchanges with Native elders, farmers, foragers, seed savers, and food and water justice groups, in visioning sessions and movement workshops that root restoring/restory-ing of land and people with the core theme of resilient adaptability. Charles Eisenstein is a speaker and writer focusing on themes of human culture and identity. He is the author of several books, most recently Sacred Economics and The More Beautiful World our Hearts Know is Possible, and Climate: A New Story. His background includes a degree in mathematics and philosophy from Yale, a decade in Taiwan as a translator, and stints as a college instructor, a yoga teacher, and a construction worker. He currently lives in Rhode Island and writes and speaks full-time. Benjamin is owner of Cornerstone Farms, LLC, and Top Leaf Farms, a licensed contracting company that designs, builds, and operates urban farms with a focus on innovative rooftop farming and seed production. He has a degree in Ecological Design and is a registered Permaculture Research Institute/TAGARI instructor, leading courses and workshops worldwide. Rick Ferchaud helps out at SeedBroadcast from time to time. Rick is a grower of several varieties of southwestern type flint and flour corn in Velarde, New Mexico. He also grows multiple varieties of beans and wheat, as well as amaranth and miscellaneous vegetables. Lexi is the Farm Manager at the Montessori School of Denver (MSD), a graduate of the RMSA Seed School Teacher Training, and a Colorado Master Gardener. She teaches Urban Farming to middle school students on topics ranging from saving seeds to growing food hydroponically to selling seedlings and produce grown on campus by the students. She also runs a Seed Library at MSD. Flordemayo was born in the highlands of Nicaguara under the sign for the seed in Mayan astrology. In 2012 she had a vision that inspired her to develop the Seed Temple in Estancia, New Mexico with the nonprofit organization The Path. Flordemayo is one of the founding members of the International Council of Thirteen Indigenous Grandmothers. Lois Ellen Frank, Ph.D. (Kiowa) is a Santa Fe, New Mexico based Native American Chef, a Native foods historian, culinary anthropologist, educator, James Beard Award winning cookbook author, photographer and organic gardener. She is the chef/owner of Red Mesa Cuisine, LLC, a Native American catering company specializing in using Ancestral Native American ingredients all with a modern twist. Donne is a 24-year old resident of Chamisal, New Mexico. She speaks proudly of how rich she truly is to have sacred land, water, and native seeds. Her family has always maintained summer gardens, small livestock and this has developed a great respect and love for traditional gardening. Emerson and Beverly Gorman are the founders of the non-profit Preserve the Tradition Youth Camp and have been deeply immersed in Navajo tradition their entire lives, raising their eight children in a traditional manner. Their teachings include our sacred relationship to plants, including foods, medicines, and ceremonial applications. Jeanette Hart-Mann is co-founder and collective cohort of SeedBroadcast, a creative community engagement project focused on seeds and agri-Culture. She is also a farmer, artist, and faculty member at the University of New Mexico where she directs and teaches the Land Arts of the American West Program. Alessandra Haines is a grain enthusiast and backyard food producer. She has been working with the Los Luceros grain group planting trial plots to gather information on potential suitable crops for Northern New Mexico. She is a board member of the educational non-profit Homegrown New Mexico which offers classes on growing, processing and cooking with local and homegrown foods. Lee-Ann is the Program Coordinator for Rocky Mountain Seed Alliance and has Laughing Wolf Farm in Southwest Colorado where she focuses on heritage grains, seeds, and traditional and historical food crops of the Four Corners Region. She delights in working with seeds and seed stewards, and believes in the unifying power of seeds. Philip is the Director of Preservation at Seed Savers Exchange tasked with maintaining the vast collection of over 25,000 open-pollinated varieties. He joined Seed Savers Exchange in 2013 after attending graduate school in Florida. Andrew Kimbrell is an internationally recognized public interest attorney, public speaker, and author. He is the founder and Executive Director of Center for Food Safety. He also is Director of the San Francisco based Center for Technology Assessment, co-founder of Foundation Earth, and President of the Board of Humane Farm Animal Care (that administers the Certified Humane label). Laurie Lange runs Light Green Thumb, an open-pollinated seed listing for plants of all kinds trialled in New Mexico for arid conditions. Her work with plants has included a stint in the Department of Botany at the Smithsonian and illustrations for the Flora of North America. Joseph is a sustenance market farmer and landrace seed developer from Utah. He grows seed for approximately 95 species. Joseph is enamored with landrace growing and is working to convert every species that he grows into adaptive landraces. He writes the Landrace Gardening Blog for Mother Earth News. Deborah Madison was the founding chef of Greens restaurant in San Francisco and is the author of 14 books and countless articles on food and farming. A New Mexico resident for 30 years, she lives in Galisteo where she writes and gardens. Sherry Manning is the Founder and Executive Director of Global Seed Savers (GSS), an international non-profit organization committed to building hunger-free and healthy communities with access to sustainable farmer produced food and seeds. GSS's work is currently focused in the Philippines, which is the fourth most climate vulnerable nation in the world. Bill McDorman is a seed saver, writer, and educator based in Cornville, Arizona. He is co-founder of The Down Home Project, Garden City Seeds, Seeds Trust, High Altitude Gardens, the Sawtooth Botanical Gardens, Seed School and the Rocky Mountain Seed Alliance. He is author of the book Basic Seed Saving. Bill is the former executive director of Native Seeds/SEARCH. Sarah Montgomery is co-founder of The Garden's Edge. In 2003, she collaborated with farmers in Guatemala to start the Qachuu Aloom Association, which is dedicated to preserving traditional seeds and cultural practices of the Maya Achi. Through collaboration between Qachuu Aloom and The Garden’s Edge, she continues to help save and share seeds with partner gardens in California, Arizona and New Mexico. Richard Murphy is the Executive Director for Veterans to Farmers (VTF). VTF is a Colorado based non-profit that provides military veterans the opportunity to connect with agricultural training. Richard has helped teach and mentor around 140 veterans over the last 5 years through the veteran program. It is his hope that some of these veterans will be America's next farmers. When Richard is not talking about or playing with plants, he likes to spend time with his family and dog on their 35-acre homestead in Ft. Collins, CO.
Andrew Mushita, Director, Community Technology Development Organization (CTDO), Zimbabwe. An agronomist, he founded CTDO in 1993 to support networks of smallholder farmers, who organize community seed banks and participatory plant breeding across Southern Africa. He often serves as a resource expert in international fora, working to advance farmers’ rights and food sovereignty. Joseph Mushonga, Deputy Director, Community Technology Development Organization, Zimbabwe. With a PhD in plant breeding (Purdue and University of Zimbabwe), he worked for two decades in government agricultural research. Specializing in small grains research (sorghum, millet), he has bred new varieties, now preferred by farmers. Rebecca Newburn is the co-founder of Richmond Grows Seed Lending Library (http://richmondgrowsseeds.org). The “create a library” template she designed has helped hundreds of seed libraries launch around the world. She was a partner on the National Save Seed Sharing Campaign. She is the editor of Cool Beans! Seed Libraries Newsletter and creator of SeedLibraries.net. Reiley began working for Snake River Seed Cooperative in Boise, Idaho as a seed packer in 2015. Over time, her job duties have expanded to include many more tasks, including inventory manager thanks to her love for spreadsheets. She also grows seed crops for the co-op during the summer. Casey O'Leary is a seed freak and founder of the Snake River Seed Co-op, a bioregional seed company based in Boise, Idaho. She grows fresh vegetables and seeds on her urban Earthly Delights Farm in Boise, and relishes finding odd & unique ways to engage the public with the wildly interconnected natural world. Ruben Olguin is a New Mexico based Artist and Educator working in ceramics, adobe and electronic media. He uses traditional hand processes for earth sculpture building and incorporates electronic elements into his works. He has been a member of SeedBroadcast since 2016. Chrissie Orr, born in Scotland, is an artist, animateur and a beautiful trouble-maker who has spearheaded innovative community projects internationally. She is the co-founder of the Institute for Living Story and faculty of the Academy for the Love of Learning in New Mexico, and co-founder of SeedBroadcast. In her spare time she grows ancient varieties of corn to learn new ways of being in this world. Rich Pecoraro helped launch the nation’s first 100% organic non-hybrid seed company, Seeds of Change, where he worked as co-director of seed production, harvest, cleaning and processing. Rich then founded Abbondanza Organic Seeds and Produce, a regional seeds and produce organization that at its peak cultivated 50 acres, had 400 CSA members, and provided regionally adapted seeds to the community. Rich is founder of the MASA Seed Foundation which supports traditional Mexican corn farmers through his local tortilla company in Boulder, Colorado. Diane is a “do-it-yourselfer" at heart and in practice. Her quest for the freshest and tastiest ingredients led her to grow her own vegetables at home, saving her own seeds; to become a chicken and goat “mommie” and backyard beekeeper; and most recently to grow her own grains. She has gardened in Washington DC, coastal Oregon, tropical Palau and Santa Fe for four decades. As a community food activist, she joined with others in a project to trial ancient and heritage grains at the historic Los Luceros Farm in hopes of rekindling a “Grain Chain” in northern New Mexico. Jody Pugh is a lifelong lover of plants. Her first interest in plants started when she was young while helping her mom in their garden. It has expanded from there to her current passion with growing heirloom tomatoes and giant pumpkins. She is a Master Gardener with the Santa Fe Master Gardener Association and is one of the initiators of the annual Master Gardener Seed Exchange. She has participated in the Seed School In a Day course by Rocky Mountain Seed Alliance and continues to support expanding our understanding of heritage seeds. Panagiotis is founder of the Peliti organization, a NGO in Greece working since 1995 on the the collection, conservation and dissemination of traditional seed varieties. Panagiotis became member of the Ecological Movement of Thessaloniki in 1988. He organized the first lessons of ecological agriculture and the first group for preservation of local seed varieties in Greece. He traveled on foot and hitchhiking in Greece for five years, gathering over 1,200 traditional varieties. He is the founder of the Olympic Seed Festival. Christine Salem is a member of the Santa Fe Master Gardener Association, the New Mexico Native Plant Society, the Eldorado School Community Garden, and Home Grown New Mexico. She produces and hosts the weekly Garden Journal radio show/podcast, coordinates the Los Luceros Heritage Grain Trials project, and mills and bakes with heritage grains. Miguel Santistevan has Bachelor's and Master's degrees in Biology and Agriculture Ecology and certifications in Permaculture and ZERI design. He is an educator, writer, seed saver, researcher of acequias and resilience, and radio producer of ¡Que Vivan las Acequias! He lives in Taos on his acequia-irrigated farm with his wife and two daughters. Greg has carried a lifetime attraction to the natural environment around us, along with the pursuit of spiritual and personal understanding, with the intent of helping others live a balanced life in a changing world. Through the course of working with heritage landrace seeds, Greg has found that the medium of the seeds and the mystery of the intelligence they contain can re-align us to our true equilibrium, bridge our differences, and help us find peace in these unusual times. SeedBroadcast holds the belief that it is a human right to be able to save our seeds and share their potential, to grow our own food and share this abundance, and to cultivate grassroots wisdom and share in its creativity. We call this agri-Culture. Our creative work is rooted in this practice through encouraging people to share seeds and share stories. Seed Stories are the grassroots voices of courage, desire, memory, and dreams. They speak towards the complex relationships between people, seeds, food, ecology, and agency. Seed Stories are stories of knowledge, ideas, and actions, as well as histories and thoughts toward the future. Indra Shekhar Singh is a seed steward who has traveled to over 1,200 villages conducting workshops on sustainability and sustainable farming in India. He given over 200 lectures at schools and universities. Indra has also started a seed-cooperative to reintroduce organic farming and indigenous varieties in the rural community of Koraon, India. Belle is Deputy Director and co-founder of the Rocky Mountain Seed Alliance (RMSA). She also co-created Seed School, now in its 9th year. She lives in Arizona with her husband, RMSA Executive Director Bill McDorman. Learning from smallholder farmers in Southern Africa over decades, Carol Thompson has taught international environmental policies at universities in Tanzania and Zimbabwe, as well as at Northern Arizona University. Don owns Siskiyou Seeds, a family farm based organic seed company at Seven Seeds Farm in southwest Oregon. They host the biennial Seed Academy on the farm and collaborate with numerous other seed growers in their bioregion. Don is on the board of directors for the Rocky Mountain Seed Alliance. Alisha is co-owner of Seeds Trust, a high-altitude seed company based in Denver. Born and raised in Colorado, she spent three years after college in the Peace Corps working with subsistence farmers in West Africa. Alisha recently completed her Permaculture Design Certification in 2017 and is board treasurer for Global Seed Savers. Rowen White is a Seed Keeper and farmer from the Mohawk community of Akwesasne and a passionate activist for indigenous seed and food sovereignty. She is the director and founder of Sierra Seeds, an innovative organic seed stewardship organization focusing on local seed and education, based in Nevada City, California. Rowen is National Project Coordinator for the Indigenous Seed Keeper Network (an initiative of the Native American Food Sovereignty Alliance) and board chair of Seed Savers Exchange. Walter Whitewater was born in Pinon, Arizona and is from the Diné (Navajo) Nation. He grew up traditionally and began cooking professionally in 1992 in Santa Fe, New Mexico. He is a chef at Red Mesa Cuisine, LLC a Native American Catering company in Santa Fe, specializing in Native American Cuisine using ancestral foods with a modern twist. Bevan has five years of university education and is self-educated in agronomy, agriculture (50 growing seasons), seed production and plant breeding, and the biological and physical sciences. 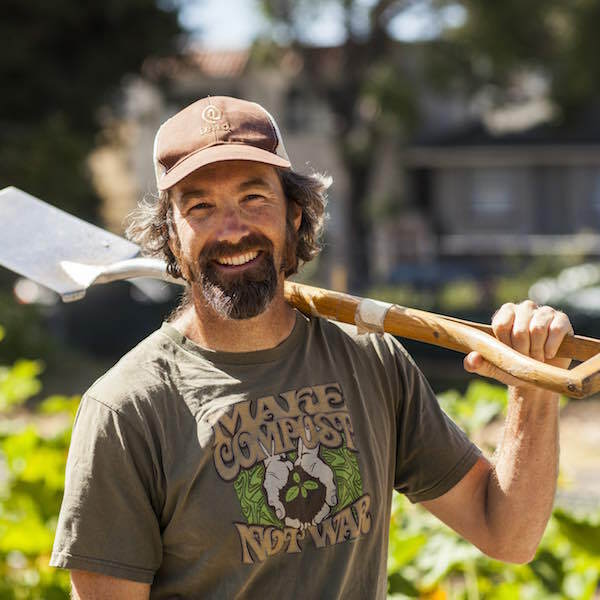 He has been a presenter at many venues on permaculture, sustainable agriculture, community food systems, off-the-grid alternative housing and right livelihood. Bevan has hosted 50 interns, founded a community and nonprofits, and consulted on community food systems for 20 years. Nina Yozell-Epstein is the founder of Squash Blossom Local Food, a social enterprise, serving farmers of and around Northern New Mexico, distributing their produce to restaurants and to the general public in Santa Fe. Nina has worked in food and farming both in her home state of New Mexico, and around the globe. Nina's passion is to make small-scale, family farming viable for generations to come. She sees the work of Squash Blossom as a way to protect the earth, preserve culture and diversity, strengthen the local economy, and imbue health for all eaters. Climate change is part of a broader ecological crisis that includes species extinction, habitat loss, and other serious environmental concerns. This crisis is calling us to a deeper kind of revolution—it requires a new (and ancient) story for humanity to live by. In this talk, Charles will discuss the depth and meaning of this critical moment. With a focus on regenerative agriculture, seed saving, and other strategies, he will present an inspiring vision of the ways we can all help heal the planet and create a more beautiful world, from the ground up. Radical seed savers share their knowledge amassed over many years and through various seed experiences perspectives. Gain insight into their lessons learned and how they are now taking these lessons to the street. Commons room will host seed discussions by bioregion with groups including Alpine, Aridlands, and Pacific Northwest among others to be crowdsourced by participants. Learn from the leaders and participants of prominent international seed saving organizations and initiatives. Panelists will share the scope of their work in Greece, India, the South Pacific and Guatemala with a focus on their current projects. Heritage grain trialists will share their experiences in the rising movement of heritage grain production with a focus on action items and lessons learned for those considering a move into heritage grains. Learning about our natural surroundings includes improving our awareness of the ecological history of native plants. Using examples from the northern New Mexico landscape, we will discuss the life stages, diversity, and habitat of plant communities with attention to their impacts on pollinators/wildlife, agriculture, and restoration. Are you considering growing and selling seed commercially? This session will look at the opportunities and challenges of producing small to mid-size lots of unique seed varieties for leading seed retailers. Topics will include reviewing different markets and scales, equipment needs, and how to choose the right crops for efficiency and success with a focus on finding economic sustainability. Commercial seed production has risks, like most other farm endeavors, but with good planning and analysis you can enhance your chances of success. Among many small-scale seed producers, the humble box fan is one of the most ubiquitous, simple tools we use to clean seeds. Watch three experienced box fan seed cleaners demonstrate their unique techniques side by side, and gain some new seed cleaning tips for yourself! The future of our seeds and food depend on rising generations of seed keepers. This panel will highlight the voices of young farmers and seed stewards who will share stories of their work for the protection of seeds, land, and culture and discuss strategies to encourage people of all ages to engage in this inspiring movement. RMSA Seed Teachers will discuss the projects they were inspired to develop including seed education curricula for Montessori teachers, a seed saving workshop for Master Gardeners, and a seed saving component for the organization Veterans to Farmers. They will share their insights, lessons learned, and future inspirations along with the nuts and bolts of developing these programs. Creating an enduring agriculture in the arid Southwest requires the development of hardy crop varieties through seed stewardship. You can contribute by learning techniques in saving seed from open-pollinated (OP) plants, hand pollination, seed cleaning, and supporting native pollinators. Join a fun and lively hands-on workshop on seed and grain cleaning and milling. Demos span from traditional hand winnowing to using home tools and small scale farm machinery, as well as table top milling. Presenters will be present during the following session to answer questions and offer opportunities for participants to try their own hands (and feet!) at grain and seed cleaining and milling. Seed libraries are a people-powered response to biodiversity loss and food insecurity. In this panel, three leaders of the movement share their experiences launching and growing seed libraries into a powerful force for healthy, resilient, and connected communities. The burgeoning seed movement presents us with many opportunities and challenges. While seeds bring richness to our souls, lives, communities and food systems, we must also learn how they can help us navigate in a rapidly changing world. Author Charles Eisenstein will share ideas from his books Sacred Economics and The More Beautiful World Our Hearts Know is Possible to empower our seed endeavors during these transitional times. New to seed saving or want a seed saving refresher? Join Bill McDorman for an inspiring and igniting workshop on saving seeds. Managing inventory in a small seed company is a daunting task. This presentation distills countless hours of headache and toil into crucial tips and techniques to create a database with multiple varieties and lots, projecting future sales and seed needs, and more. Swap seeds and mingle with us! Includes a performance from Dancing Earth. Seed Slam from 6:30 to 7:30, hosted by SeedBroadcast. Bring your seed-inspired poetry and seeds to share! Everyone is invited to join in an open mic seed jam session with the Seed Saving All Stars hosted by SeedBroadcast and the Rocky Mountain Seed Alliance. All levels of musical ability welcome! Share your seed songs and other expressions of love for our beautiful planet Earth. Bring your instruments and join in the fun! A seed matriation movement is underway with indigenous people carrying their ancestral seeds from seed vaults, institutions, and universities back to the lands of their birth. Rowen will share with us hopeful stories from this intergenerational movement and how it is empowering cross-cultural reconciliation work that is restoring food sovereignty and seed sovereignty within native communities. Saving seeds is an ancient agricultural practice that spans global cultures. In this panel, indigenous seedkeepers and elders will dialogue about the deep significance of seed saving for ecological, physical, and spiritual wellbeing, exploring how traditional seed knowledge can address the challenges and opportunities of our modern world. 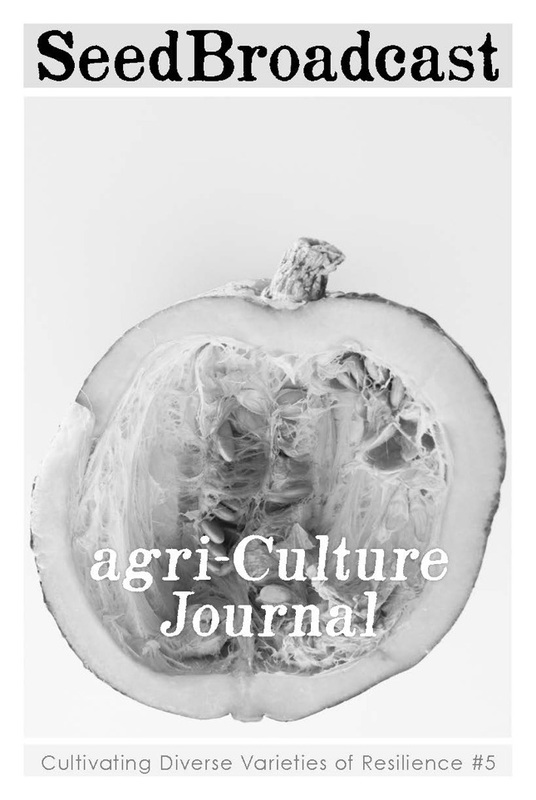 Through the bioengineering and patenting of seed varieties, three agrichemical companies control an industrial agriculture system that steals the cultural wealth of indigenous and traditional farmers while destroying the natural world. But in the face of these challenges, a resistance movement is on the rise. Executive Director of the Center for Food Safety Andrew Kimbrell will discuss the latest developments on genetic engineering of seeds (such as CRISPR gene-editing technology which offers new means of patenting seed genomes) and share what we can do to protect our sacred seeds and planet. Laurie and Gregg will lead discussions during lunch in the Commons room. "Health and Seed Production" with Laurie Lange: How can herbs and medicinal plants be used in first aid and for treating Lyme disease and other ailments? Download discussion notes from Laurie here. "Making Time for Seed Saving" with Gregg Batt: Who's got time for saving seeds—or for organizing a radical seed saving project? You do! Bring your best ideas for a creative brainstorming session on how to get started, or improve what you're already doing. Sylvia Rains will lead a fascinating nature walk exploring the wild flora of the area. Separate registration required in advance ($20). *Note early start time! Join celebrated chefs Lois Ellen Frank, Ph.D. and Walter Whitewater for an experiential journey through Native American foods of the region. Frank will talk about seeds as a cuisine and Whitewater will serve two food tastings featuring a Three Sisters Stew and a Sunflower Seed Cake with a hand-harvested Choke Cherry Sauce. Chefs will set up a table for participants to explore the ingredients used and learn about indigenous foods. Plants adaptation to climate is vital for agriculture, yet modern farming increasingly relies on greenhouses and pesticides to change environments to suit the crop. Don will share from experiences on his Siskiyou Seeds farm how traditional agricultural knowledge can be applied to breed hardy crops that thrive amid the stresses of a changing climate. India and the Philippines face stark challenges and declining local seed production due to the encroachment of GMOs and industrial agriculture. Sherry and Indra will discuss their work in these countries to help smallholder farmers return to traditional seed saving practices through activism, organizing, and inspiring projects for seed sovereignty. Seeds are not just grown on picturesque farms but in a variety of spaces, including our urban communities. So why not grow seed adapted to these unique conditions? Jillian and Benja will share stories of growing seeds in diverse and inspirational spaces—and about the partnerships they have grown along the way! Since its inception, Seed Savers Exchange (SSE) has provided a platform for passionate seed stewards to share their bounty. Director of Preservation at Seed Savers Exchange Philip Kauth will share lessons learned from managing the SSE seeed bank. He will also discuss how a new collaboration between SSE and USC Canada—the Community Seed Network and Exchange—is helping connect more people with seed diversity. Two Zimbabwean seed-breeders, engaged for decades in local community seed banks and participatory plant breeding projects, will share their experience presenting Participatory Plant Breeding Farmer Field Schools that empower people to keep control over their seeds. Andrew Mushita and Dr. Joseph Mushonga will discuss their work with community seed banks, crop diversification, and climate resilient crop varieties that strengthen and improve farmer seed systems. They will also discuss the co-opting of African crop genetics by large agribusinesses. Water in the arid west and globally is often regarded as a commodity rather than as a sacred resource to be shared by all, and yet it could be inextricably linked to the future of seeds and seed sovereignty. Join Miguel Santistevan for an important discussion about the impacts of climate change to our water supplies that not only feed our communities but also feed our seeds. 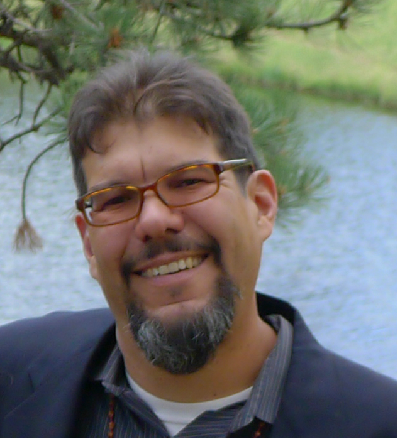 Miguel will discuss his experience with acequia agriculture, dryland farming and seed stewarding in Northern New Mexico, and the cultural significance of honoring water in our agricultural practices historically and for the future. Too often, limited space prevents us from seeding the appropriate plant population to maintain maximum diversity—and discourages beginners from growing seed crops at all. Brett will discuss how diversity in the Southwest can be sustained through traditional methods of planting and selection. 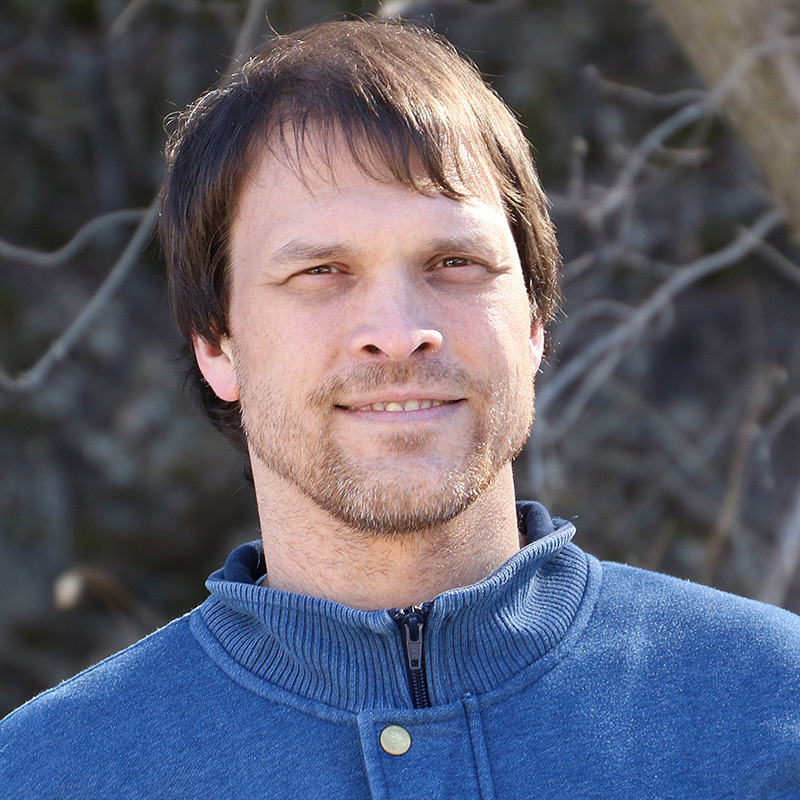 Greg will discuss heritage seed stewardship through a lens of decolonizing seed and how we can heal our relationship to seeds, food, and ourselves by understanding past and present events. The corporate takeover of seed ownership by large chemical agribusinesses creates an uneven playing field for small shareholder seed farmers and indigenous communities worldwide. Learn how other countries are dealing with the wholesale co-opting of their seed genetics and continuing to practice the ancient art of seed saving in spite of the efforts of multinational corporations to upend them. SeedBroadcast will lead an experiential workshop to explore Seed Stories, acknowledging and giving thanks to seeds in our lives with a focus on climate resiliency. Participants are asked to bring a handful of seeds to engage with through creative writing and conversation. Bevan will share his thoughts on the future of seed based on his deep experiences and explorations of the heart, mind and field, and drawing insight from visionary thinkers. This inquisitive presentation will explore questions such as "Why do you grow or save seeds? What message is the water bringing to seed, and what message are you bringing it? What role does intention play in the qualities of seed?" Questions and discussions are encouraged throughout this interactive presentation. Interested in starting a seed library? Learn the basics of how to get started. Identify the goals and purpose of your library in order to tailor it to your community’s needs. Discover some pitfalls to avoid and some strategies to make it a successful program. Beverly and Emerson Gorman will share the sacred relationship between humans and plants from a Navajo perspective. Click date below to view schedules. Seed School is a groundbreaking educational course that trains people from all walks of life to build local seed systems rooted in the ancient tradition of seed saving. Practiced by farmers and gardeners for thousands of years, seed saving strengthens food security at the community level, empowering people to reclaim control over their food supply. Students walk away from this innovative learning experience with the knowledge and inspiration to start their own independent seed initiatives, such as community seed libraries and exchanges, seed growers cooperatives, heirloom seed businesses, and participatory plant breeding projects. Seed School is designed to offer a comprehensive yet accessible overview of the history, science, business, and craft of seeds. Appropriate for adults and teens at all skill levels, this course is for gardeners, farmers, chefs, entrepreneurs, NGOs, activists, policymakers and anyone interested in turning the tide on the industrialization of our food system. With hundreds of graduates around the world, the acclaimed Seed School program is available in a range of courses to suit all specific interests, schedules, and lifestyles—including an online option! If you want a little taste and a reminder of why you should attend Seed School, view the little video below of Bill McDorman. Seed School Online is an innovative educational experience that brings our acclaimed Seed School training program to people everywhere. We developed this unique offering as a response to the growing demand for in-depth seed education. Now, students around the world have access to RMSA's empowering and immersive seed learning experience from the comfort of their home! Seed School Online's primary instructor Bill McDorman has been inspiring people to save seeds for over 30 years. All the resources and support Bill has accumulated through a lifetime of learning and teaching has come together in Seed School Online—and now this knowledge is available to you! During our 7-week program, you will network with other seed stewards and find your own inspiration. You will hear personal stories of individuals who have transformed their new seed knowledge into action by launching small seed companies, seed libraries, and exchanges. "This was my first time attending a lecture online, and I wasn't sure what to expect. Seed School Online was so interesting! It gave me lots of new ideas that I can't wait to put to use in my garden. Thanks so much!" "Just wanted to say I attended the introductory webinar and wanted you and Bill to know it was very well done. Given I teach at universities and do distance education, I can appreciate what you did. Looking forward to the rest of the course." Upcoming events from RMSA partners and communities in the Rocky Mountain West.